NATS joins a two-year global celebration of the life and career of the 20th century cultural giant. For the first time ever, all in attendance at the 55th NATS National Conference will sing together as a community. During the opening ceremony, Phillip Shoultz, associate conductor of VocalEssence, will lead us in a time of community song. As part of this event we will celebrate “Leonard Bernstein at 100,” joined by special guest Jamie Bernstein as we sing Bernstein’s “Make Our Garden Grow.” Music for everyone will be donated by Hal Leonard Corporation. With the 55th National Conference opening ceremony, NATS joins a two-year global celebration of the life and career of the 20th century cultural giant. “Leonard Bernstein at 100” features more than 2,000 events on six continents. A kickoff at The John F. Kennedy Center for the Performing Arts on was held on Friday, September 22, 2017 to officially launch the celebrations, which continue worldwide through the end of August 2019. Saturday, June 23 • 4:00 p.m. to 5:00 p.m.
Saturday, June 23 • 1:10 p.m. - 1:55 p.m. The announcement of “Leonard Bernstein at 100” took place at Lincoln Center for the Performing Arts in New York, hosted by film and television actor Alec Baldwin, who is also the radio broadcast host of the New York Philharmonic, Bernstein’s orchestra for many years. Jamie Bernstein, Alexander Bernstein and Nina Bernstein Simmons spoke about their father’s legacy. Joining them to celebrate Bernstein’s contributions were Yannick Nézet-Séguin, Principal Conductor of The Philadelphia Orchestra and Music Director Designate of The Metropolitan Opera; celebrated actress Whoopi Goldberg, who spoke of Bernstein’s humanitarian work and social activism; and rising soprano Julia Bullock, who paid tribute to Bernstein the composer with a performance of Bernstein songs, accompanied on the piano by Michael Barrett. 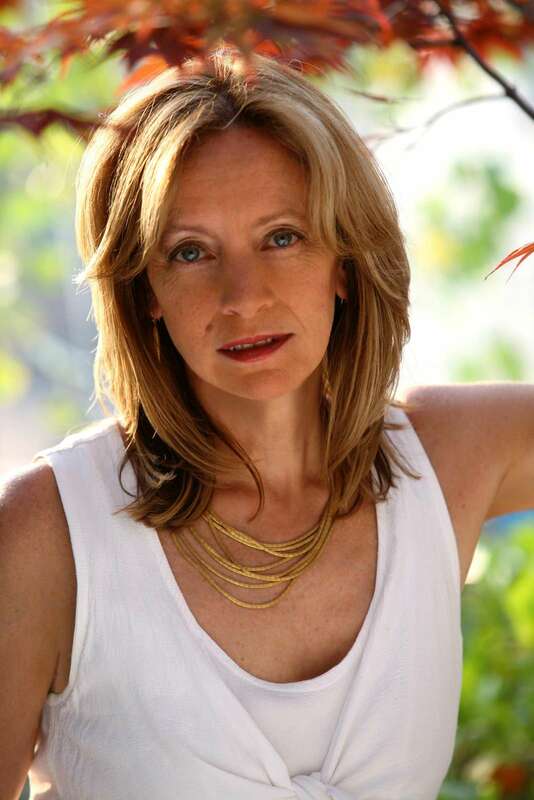 Jamie Bernstein is a writer, narrator, broadcaster and film maker who has transformed a lifetime of loving music into a career of sharing her knowledge and excitement with others. Inspired by her father Leonard Bernstein’s lifelong impulse to share and teach, Jamie has devised multiple ways of communicating her own excitement about orchestral music. Beginning 15 years ago with “The Bernstein Beat,” a family concert about her father’s music modeled after his own groundbreaking Young People’s Concerts, Jamie has gone on to design, write and narrate concerts for worldwide audiences of all ages about the music of Mozart, Copland, Stravinsky, and many others. Jamie creates and narrates two educational concerts a year with the New World Symphony in Miami; these engaging, informal “Discovery Concerts” are specially designed to attract audiences of all ages who are less familiar with concertgoing. Jamie travels the world as a concert narrator, appearing everywhere from Beijing to London to Vancouver. A frequent speaker on musical topics, Jamie has presented talks around the world, from conferences in Japan to seminars at Harvard University. In Spanish-speaking locations such as Madrid and Caracas, Jamie narrates en español – thanks to her Chilean-born mother, Felicia Montealegre, who raised her children to be bilingual. In her role as a broadcaster, Jamie has produced and hosted shows for radio stations in the United States and Great Britain. She has presented the New York Philharmonic’s live national radio broadcasts, as well as live broadcasts from Tanglewood. 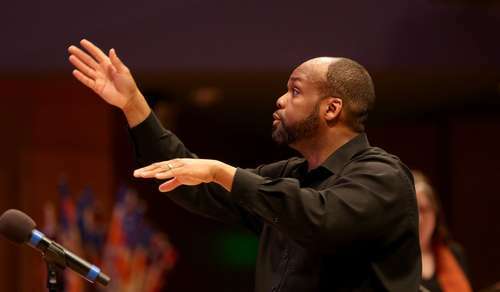 Known for his innovative pedagogy and ability to inspire singers of all ages, G. Phillip Shoultz, III, enjoys a multifaceted career as conductor, educator, singer, and speaker. Phillip is the Associate Conductor of VocalEssence where he shares the podium with founding artistic director, and mentor, Philip Brunelle and serves as the leader for education programs including WITNESS, ¡Cantaré! and the Carnegie Hall Lullaby Project. In addition to his work with VocalEssence, he serves as director of music, worship, and the arts for Good Samaritan United Methodist Church and frequently appears as throughout the U.S. as a guest clinician, adjudicator, and consultant. The winner of the 2015 American Choral Directors Association Graduate Student Conducting Competition, Phillip appeared as a Conducting Fellow with the Oregon Bach Festival, Chorus America, Choral Music Experience Institute and several other summer programs. He has prepared choirs for performances in Canada, England, Estonia, Finland, France, Germany, Mexico, and Russia. Recently, he guest conducted the Manhattan Chorale in New York City and was also named as a 2017 ACDA International Conductors’ Exchange Program Participant which will afford him the opportunity to travel extensively in Central and South America.